We’ll help your practice engage local patients, and referrals at a reasonable price with proven results. Why spend thousands of dollars on companies that over promise and under deliver with cookie cutter products? Try us and we’ll prove our winning results to you! The dental market is becoming more competitive to attract new patients and keep active patients loyal. With new dental practices opening locally to compete, standing out from the crowd as a professional healthcare provider has never been more challenging. With the advancement of technology, new and active dental patients are using internet search engines like Google, and sites like Facebook, to find local dentist and dental practices, who are reputable, informative, provide convenience and great service, and are well priced. If you want to reach patients looking for these dental services, the best place to be is at the top of the search engine page rankings, where research shows you get most clicks from. Having an awesome website that is easy to navigate and helps to convert new patients into active patients, is essential for your dental digital marketing strategy. First, you must be found amongst your competitors which is why Dentist SEO, also known as Dental Search Engine Optimization, is needed. Having dental SEO experts like ArcPro Media on your team will produce successful results for you. Our team of dental marketing experts focus only on Modern and Responsive Dental Website Design, Dental SEO and Dental Practice Digital Marketing Services, which allows us to focus on producing results for you. We understand the challenges dentists face, and have a good knowledge of the dental industry, allowing us to service dentists from big cities through to those in a smaller community. We know what potential new patients are looking for by understanding their behaviour patterns, and we use multiple web design architectures and dental SEO techniques. Our dental web design and SEO solutions reflect your clinic in the most positive light by providing an awesome user experience that provides higher conversions for patients to contact you. Our job is to make you the one to catch, not the one trying to keep up. ArcPro Media can help your website get on top of the search engine rankings to attract more new patients to your dental practice, so that your schedule can be filled. 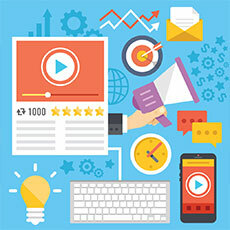 The most popular search engines are Google, Bing, and Yahoo!, while others such as Amazon and YouTube also exist for specific media. 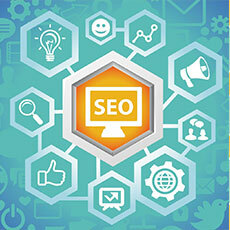 Basic organic SEO allows your website to be submitted to the search engines so they are aware you exist. 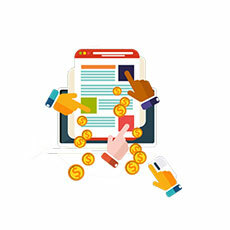 This includes the site design architecture, on-page SEO content and off-page inbound links, which can also come from PPC (Pay Per Click) links. The words that patients type in search boxes to look for relevant information carry a lot of value. The search engines use algorithms, consisting of math and science, to crawl dental websites and match the patient query to return relevant and popular search results. Basic SEO is fine for many small businesses, however for dental practices in competitive areas, hundreds of factors influence a dental practice’s relevance and popularity. Investing in a comprehensive and more advanced range of Dentist SEO techniques can provide more patient enquiries and an exceptional rate of return compared to other marketing techniques. It is no secret that your prospective new patients are searching for local dentists, and more are using their mobile devices to run these searches. We apply local SEO ranking factors, including patient reviews to help your practice stand out and rise to the top of the search engine ranking pages. We put you above your competitors on the search engine rankings. This attracts new patients and helps to build patient loyalty based on the exceptional service that you provide. When dentists create an ongoing and detailed treatment plan for patients to maintain good oral health, in the same way, we create advanced dental SEO plans to maintain your high search engine rankings across multiple platforms. 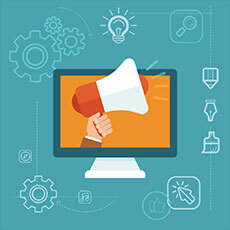 This involves in-depth algorithm analysis, advanced keyword and link checking, redirections, competitive keyword analysis, reputation management, utilizing best practice methodologies, reviewing various platforms, and other intricate strategies that really focuses on details to help drive more relevant traffic to your dental website. Our techniques not only engage more prospective new patients or referrals to fill your schedule, but also help with case acceptance and active patient retention. Our dental web design and SEO packages include ongoing competitor research and SEO analysis on other dental practices in your area, to keep track of, and stay ahead of local competition. We review local dental practice websites and react to raise and protect your search engine rankings to help drive more patient traffic to your practice. We take the time to get to know you and your dental practice so that we can create the best dental website with a customized SEO marketing plan that is unique, targeted to specific types of patients or other doctors for specialist referrals, and promotes the very best in what you offer. We submit your website into various directories and major search engines that will increase the organic site traffic and indexing of your site. 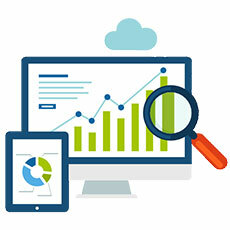 Our strategies will help your site to rise above your competitors and get ranked higher in the major search engines like Google, Yelp, Yahoo, Bing, etc. and with map rankings. Over 75% of potential new patients look for dentists by map locality, and many of these want to see what your dental practice looks like before they visit you. This means that your dental practice not only needs to show up on the search engines, but it needs to be mapped with a street view or even better, a practice 3D virtual tour. Google recently reduced the map views from 7 to 3 practice listings, which has made it even harder to compete with map results. 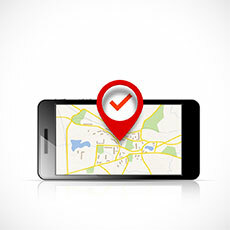 ArcPro Media map experts can research multiple platforms and use SEO mapping tools to help your site be found as one of the top practices on local map ranking results. 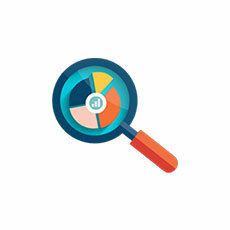 Ranking for the right keywords and search terms is critical to being found on search engines. We use keyword research to learn about your potential new patients, their demographics, geographic territory, and other useful information to build your dental SEO strategies to target relevant words and phrases. This not only helps with getting more volume of new patients and doctor referrals to your site, but also helps to target the right type of new patients and referrals for your primary dental services. ArcPro Media research is involved, in-depth and continuous by our SEO experts, so that we can help your practice adapt to receive and close the right customers for your business. When you recommend a good product, service or experience to your friends, such as a restaurant, your friends value your referral. The more they hear positive things about the same referral, the more they are inclined to try it out for themselves. Your dental practice products, services and patient experiences operate in the same way on the internet using links and backlinks, which are a web of referrals that helps search engines drive traffic to your website, based on the frequency, popularity and reputation of the link source. Link building is extremely beneficial for SEO and part of your Reputation Management strategy, however poor or bad links from spam or low authority and non-relevant web pages can be damaging to your website as well. Understanding the ever-changing sophisticated technology and staying up to date with best practices is something we pride ourselves on to help our dentist clients with their SEO strategies and website maintenance. 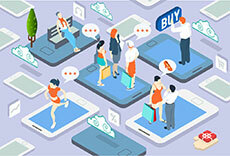 With the use of smartphones, tablets and other mobile devices, patients are now searching while on the move, and many are also using voice searches. Your dental website not only needs to be responsive to these mobile devices, but needs to outshine and outperform the competition on these platforms, also considering voice related keyword searches from prospective patients, for example, “dentist near me”. ArcPro Media dental websites are designed to be optimize for quick loading for mobile users, on multiple mobile devices through the different search engines, and advanced voice search terms. Blogs are a great way to educate patients, attract patient engagement and increase SEO keyword relevance to help you raise your website page ranking. ArcPro Media can help you with blog content ideas to help attract and engage new patients, and we can even help provide content for your site to create landing pages for patients who run searches to find you. Your brand consists of your practice name and your logo, and should be unique to your identity. If you do not have a brand, ArcPro Media can help you create one with our marketing expertise. The brand name and colors you use can impact your dental website domain name and creative design for your website, and can also impact how your patients perceive you. Our objective is to make you as successful as possible, and so we do not take on other dentist clients within your local area. We believe in strong ethics and that loyalty should work both ways. Search engines such as Google look for unique and authoritative content for internet users searching for information. Content can be text, images and videos that all need optimizing to be found by the search engines, or to be shared in Social Media. Well written content with an appropriate word count or images and videos with appropriate file size, helps engage patients and build their trust. 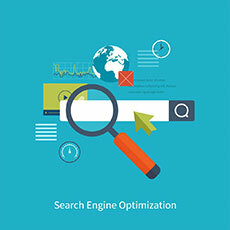 It also enables search engines to determine the quality and purpose of a dental website, which will help with utilizing keywords for advanced SEO. On the other hand, poor content, copywriting or duplication, along with poor back-end structure and broken interlinks can have the opposite effect where your site can be penalized and drops in page ranking. ArcPro Media is diligent in structuring and reviewing your website pages and content, as well as that on other sites, to prevent your site from being held back by search engines. 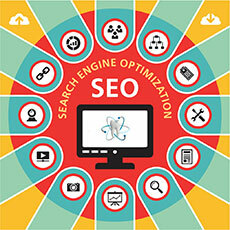 Having new dental patients or doctor referrals find and visit your website involves SEO traffic. 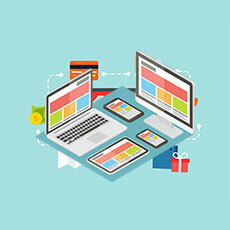 Having these potential customers engage in contacting you, either by phone, email, forms or in person, requires a good website design and content. Once new patients are engaged, communicating and converting them into active patients with case acceptance, requires smart and creative techniques. ArcPro Media can help in providing various tools, ranging from email marketing, patient education, patient communications and more, to improve your new patient conversion rate and active patient loyalty. Contact us to learn more. While organic SEO helps to build website patient traffic and improved SEO page rankings over time, paying for online advertising with Google AdWords can bring more immediate results for your dental practice. ArcPro Media can help you design a PPC campaign to target more immediate patient traffic. 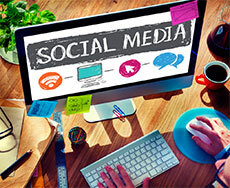 Search engines have realized that Social Media is now a part of dental SEO strategies. Social Media dental practice pages help to drive patient engagement, through the likes of Facebook, Twitter, LinkedIn, Pinterest, and YouTube to name but a few. These network sites are becoming increasingly important to digital dental marketing strategies for dental practices to engage with patients, providing access to dental practice events, patient education videos, community outreach, and other such tools. 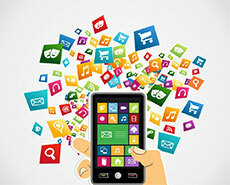 ArcPro Media can help you with your Social Media Dental Practice Strategy to help engage more new and active patients. ArcPro Media works with the leading dental industry affiliates to provide a range of patient education and communication tools to help with your dental SEO strategy, website rankings and patient engagement for conversion and case acceptance. Contact us to learn more and see how we can help build a better patient experience. Our team of web design and digital marketing experts use a variety of leading edge metric tools to raise your dental website to the top in Google and other search engine rankings, and to make it easier for patients to access your website. 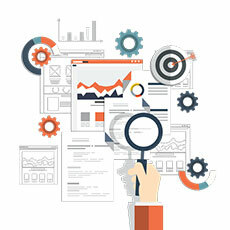 We continually measure, analyse and enhance your site to build you a sustained SEO road map to success. 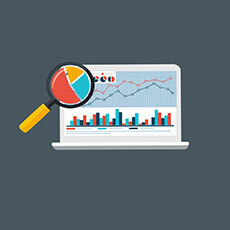 We provide you with direct access to Google Analytics and help explain what the reports mean. 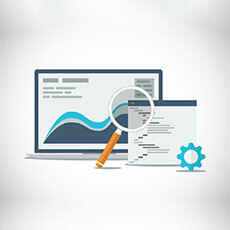 If you have a current a website, ArcPro Media’s best dental website designers and dental SEO professionals provide a comprehensive website check up to find ways to improve the overall site design and search engine rank pages (SERP). This is like when a dentist provides new patients with an initial complete oral health check-up prior to creating a dental treatment plan for them. Our dental website audit consists of hours of research so we can head in the right direction from the get go. It provides us with an analysis of what needs to be done to improve your website design and to get you on top of the dental practice rankings, so that you can attract more patients and referrals. 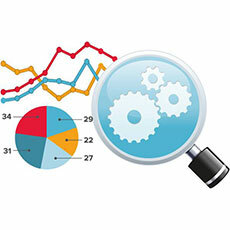 We evaluate your dental SEO efforts to see how your site is currently performing against local competition. We then create and communicate a plan with you, so that you are aware of what to expect. A website typically looks different to people and to search engines. Patients view pictures and colors, layout and text, with website navigation to quickly and easily find what they are looking for. On the other hand, search engines use algorithms to view HTML code to crawl a website to interpret its content. How patients interact with your website using clicks and page views also helps search engines interpret its quality and relevance. 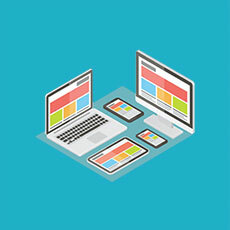 At ArcPro Media, we design, build and modify your website pages so that they are optimized for search engines to find you, and ambient for patients to engage with you.